If you’ve been primarily using the Twitter iPhone app, you may have been missing out on mentions, retweets, and replies. 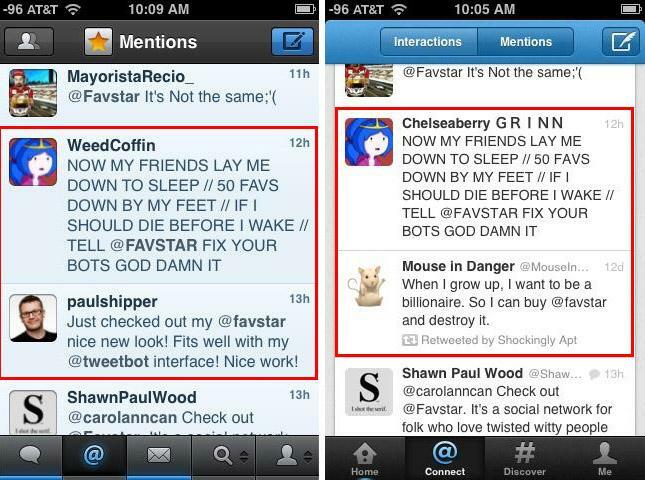 Twitter application Favstar noticed some inconsistencies when its users were unable to see notification Tweets from the company’s accounts, only to later realize upon investigation that viewing mentions on Twitter for the iPhone and other third party clients was unreliable. If you take a close look and compare the desktop app and iPhone app, some mentions are just plain nowhere to be found. 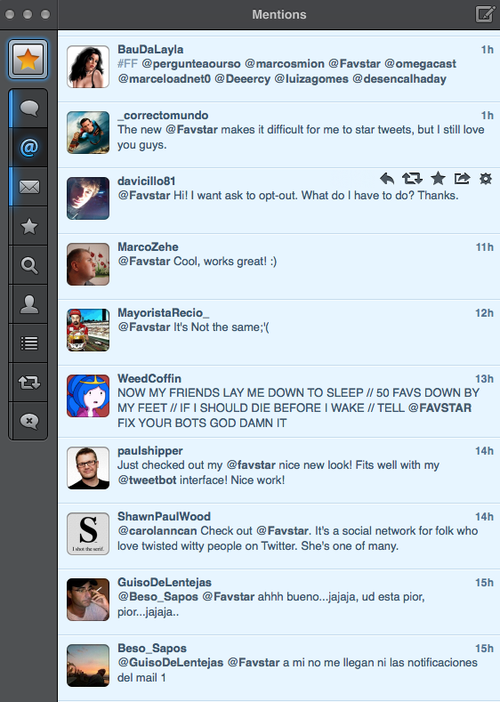 Other mentions have been replaced, unusually enough, with older Tweets. For example, as Favstar shows in the above screenshots taken from its own Twitter account on the Mac and the iPhone, the Tweets from @BauDaLayla and @PaulShipper have been replaced entirely by older posts. It should go without saying that it’s incredibly important the Twitter iPhone app display content correctly; mobile usage is only on the up and it’s where the platform is making its money. TheNextWeb found that third-party Twitter clients for the iPhone were also incorrectly displaying mentions. That could suggest the bug is originating from Twitter’s API, and you have to hope a quick fix is on the horizon. For now, we’d recommend that you double check your mentions and do a side by side comparison to see if you’re missing anything of significance.